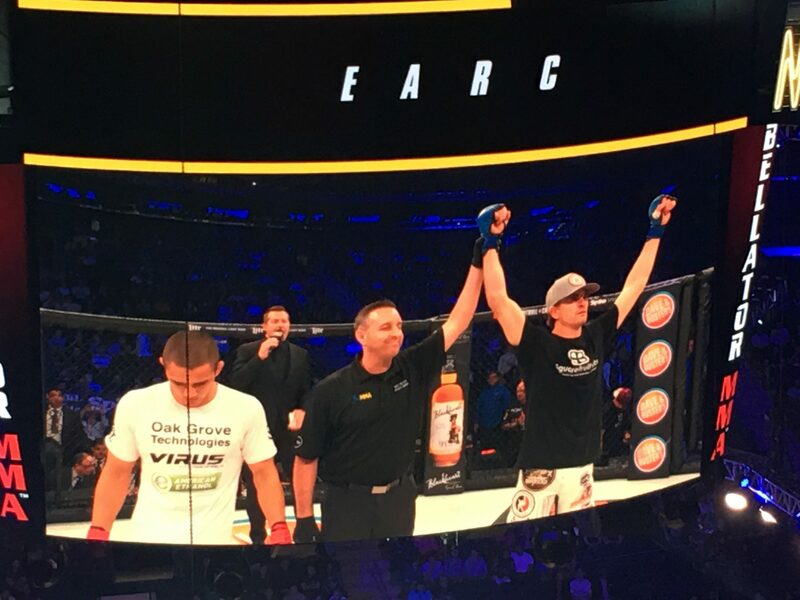 New York, NY – Aaron Pico (0-1) hype train was derailed for the moment after Zach Freeman (9-2) finished Pico in his MMA debut. In the second bout on the pay-per-view card, Freeman provide his experience inside the cage. Madison Square Garden exploded when Freeman connected with a right uppercut to Pico, which dropped him to his knees. At the opening bell of the fight, Pico quickly marched across the cage and on his first strike attempt he always a left knee from Freeman. It appears to have stunned the 20-year-old briefly but he quickly continued forward. Pico threw a right straight, which did connect, though Freeman’s uppercut landed with such power that it buckled the knees of the new mixed martial artist. After Pico hit the canvas, Freeman jumped on the neck of the California native and forced the grappler to tap out via D’Arce Choke. This submission earned Freeman his sixth victory by way of submission, and ninth win overall. The submission came in Round one, at 0:24, via D’arce choke. Pico falls to 0-1 in his infant career and Freeman improves to 9-2 in his Bellator debut.